Well I know its been a while since my last post but I guess I’ve had a bit of a writers block. Any how after what so far has been a busy winter for me I figured that now its about time to put all my thoughts on the table and write this blog. A couple weekends ago I was able to get to the Toronto Fishing and Boat Show. I was at JB’s Tackle shop representing Liquid Mayhem. I love those opportunities to be able to get out and meet a tonne of anglers, chat, swap some amazing fishing stories, while helping out a company or product I believe in. Again A BIG thanks to #liquidmayhem for having me as apart of your team again for 2017. 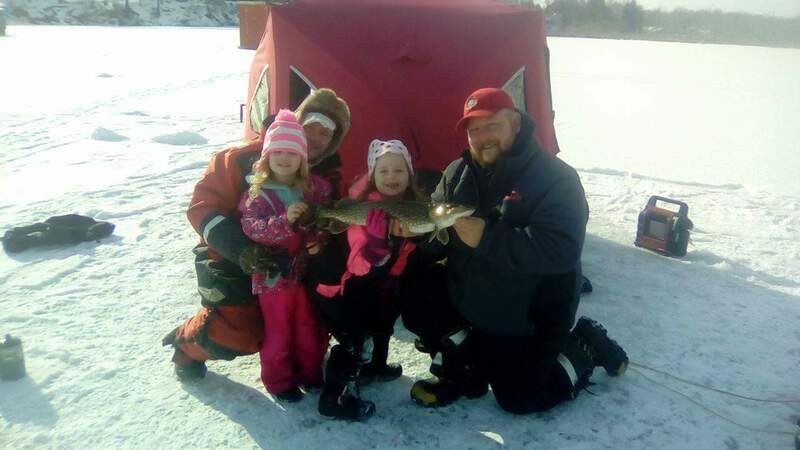 For the guys in my neck of the woods lets face it, the winter was a disaster for the Bay Of Quinte Trophy walleye fishing season. With the warm winter we never really got enough safe ice to be able to make much of a season out of it at all. Now I know what some of you are thinking when I say that but here it is in a nut shell. sure you had ice on Big Bay, Potters, most of Belleville, Onderdonks, and even in front of the Trent river for a bit, for most of January and until mid February right? however with the 12 cold days of the season that we did get, it was touch and go whether the weather would hold up the ice or ship it out. This creates uncertainty in many peoples minds, they are thinking if they should even venture out on the ice or not. The areas mentioned above, do they hold trophy fish? well of course the answer is sure they do. 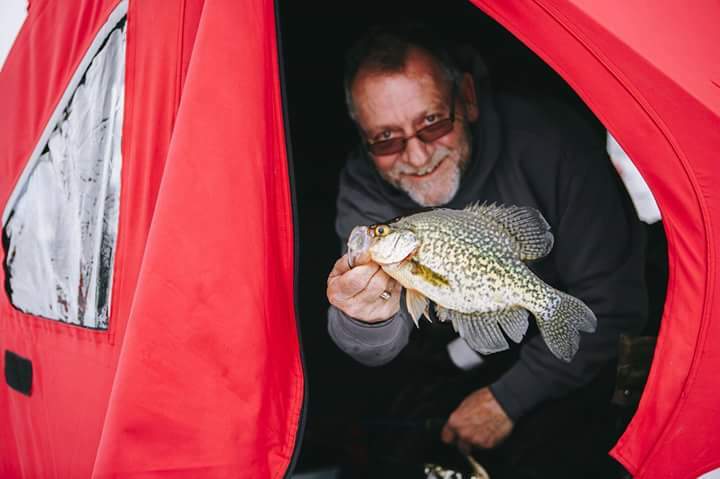 but those areas generally hold much more of the smaller fish in the bay and people are basically fishing the walleye nursery’s in the area.The Western part of Quinte is a shallower area in the Bay compared to the eastern basin where more of the Lunkers hang out statistically speaking. 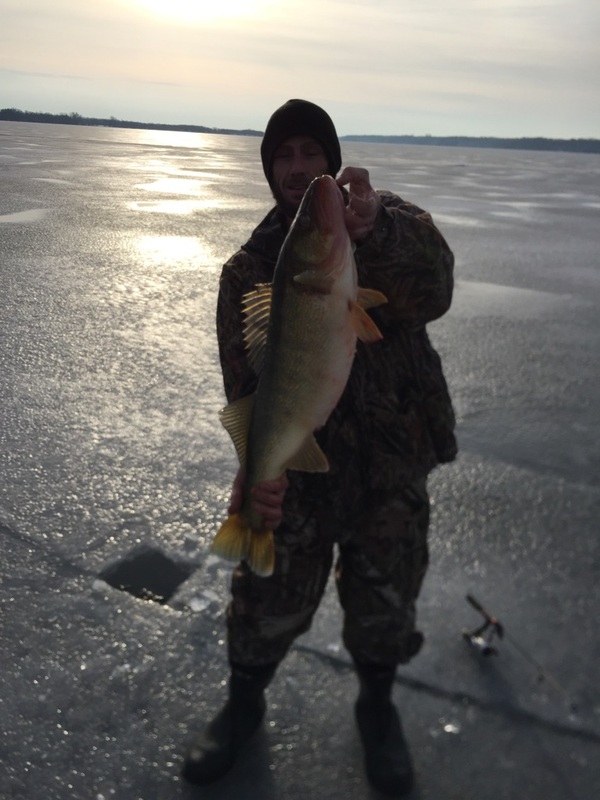 Here is a pic of a buddy’s fish on some thin ice not enough for me to go on, but im quite a bit heavier than him lol, congrats on this hog out of the bay this season, and great job getting her back to be caught another day. 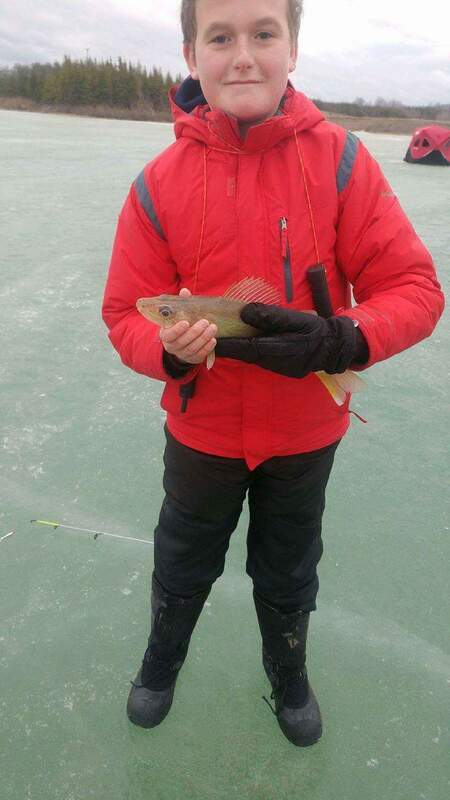 I tip my hat to most of the guides who were smart enough to once again cancel most of their season for the 2nd year in a row on the famous waters known as the Bay Of Quinte. 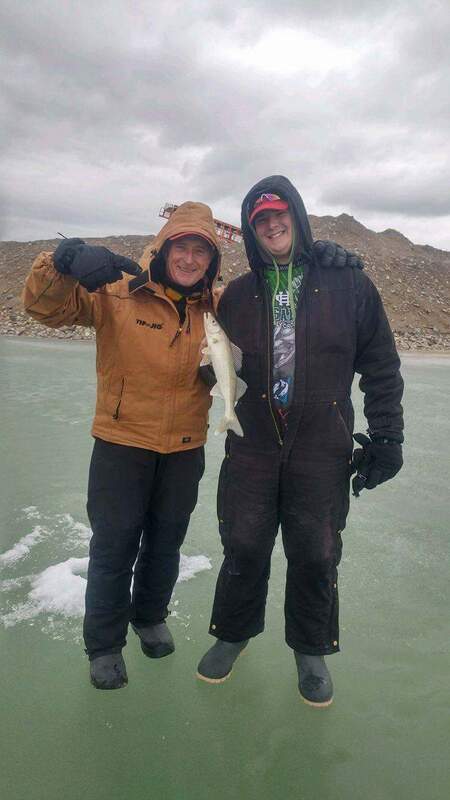 It is an incredibly tough decision to make, when you are trying to make a living by taking people out on a frozen body of water and you know you can take them to an area that has enough ice to safely hold them but you know the fishing is not what they are looking for, and the areas that do hold the trophy fish they are looking for, does not have safe enough ice. congratulations on making sure your clients safety comes first. unlike a couple of the hut operators I’ve seen and/or heard about, and not just on the bay, but in so many areas throughout Ontario letting people into their huts telling them its safe when there has been less than just a few inches. 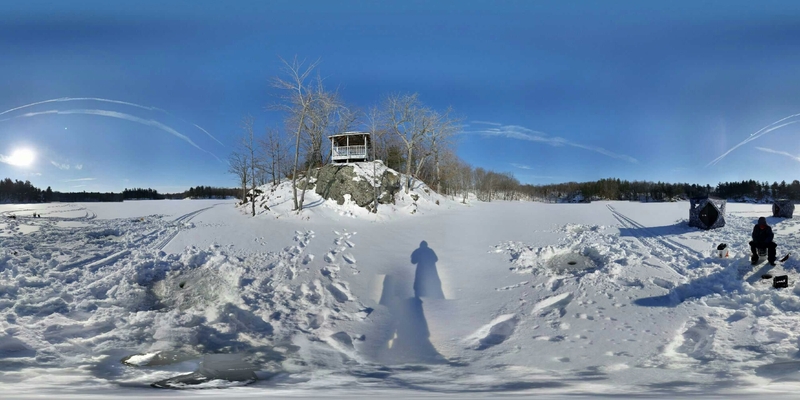 In one case recently, I just heard of an operator having his hut go through the ice while he was trying to get it off the ice, only hours prior to this happening, he had paying clientele inside the hut thinking they were safe. This kind of irresponsibility just makes my head spin. 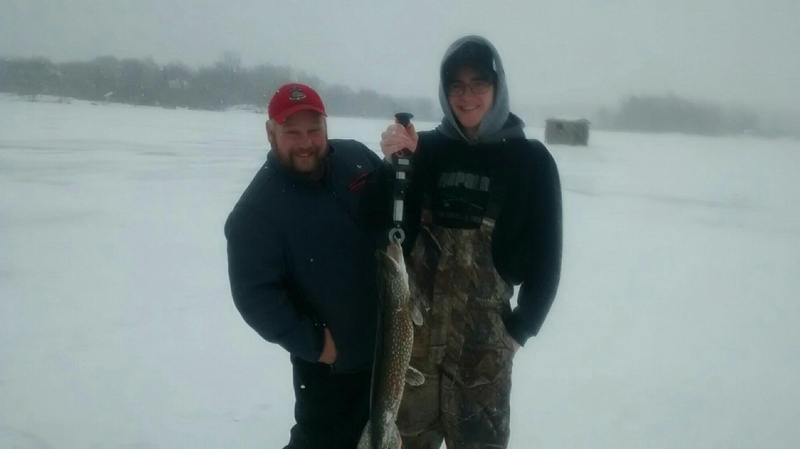 I myself was lucky enough to be able to offer a different type of fishing to my clientele this season when I had partnered up with a good friend of mine and we offered back lakes fishing for Brook trout, walleye, and Pike. this allowed my season to continue throughout the winter on a body of water with lots of safe ice for our clients. We still have a few more dates before the end of the season for us but wow what a season its been. Our Brook trout spot which we have been fishing for many years is a stocked lake. 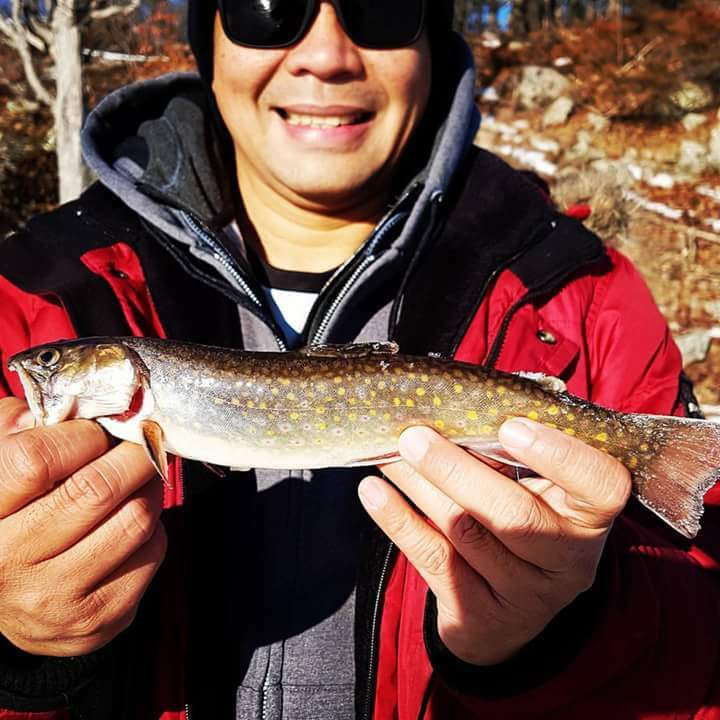 Now this Lake has seen its fair share of decent 3 to 4 pounders come through the ice in recent years, but for some reason this season, although we have lost a few big brookies we did not land any of the big ones through the ice this year. 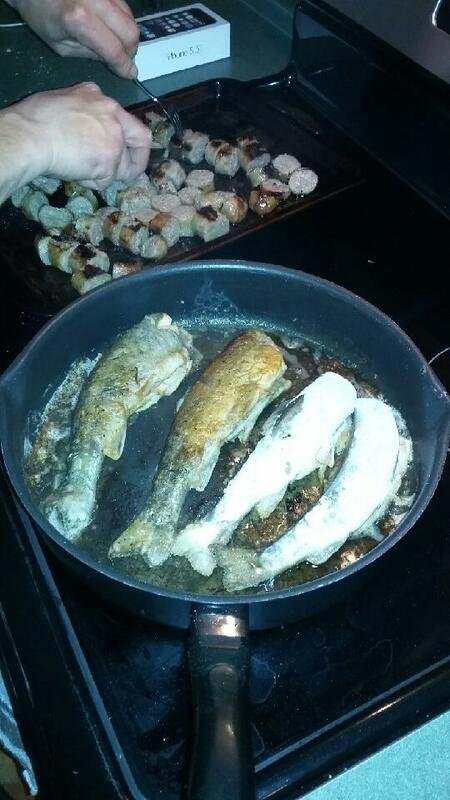 almost every trout was the perfect eating size, and perfect for the pan. Acouple speckled Trout to have with our dinner made an awsome upgrade for our clients experience. 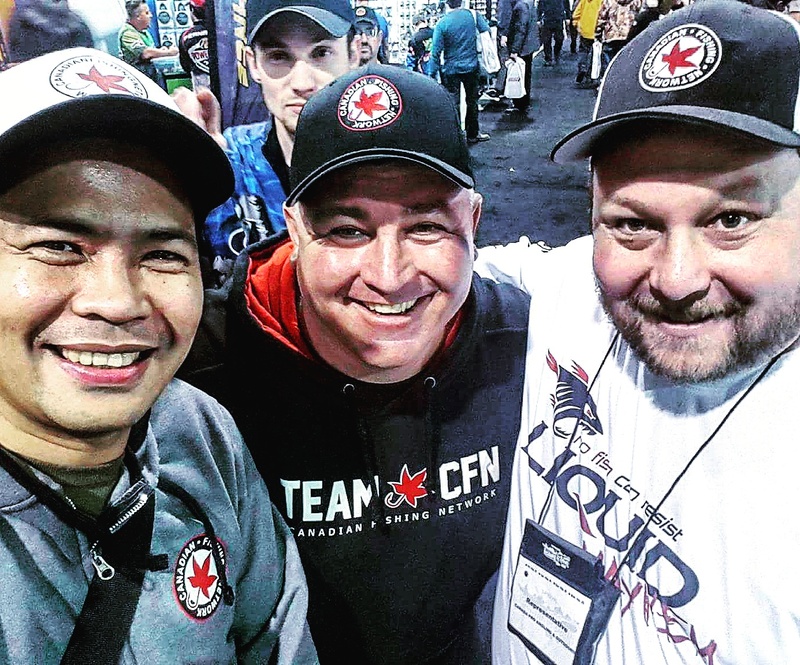 We had amazing opportunities this year where I was able to get some good friends of mine that run The Canadian Fishing Network or (CFN) which is a social media broadcast/show each week showcasing everyone from the professional angler, guided services, and best of all the everyday angler/ weekend warrior on social media. They also host a fishing segment on Filipino TV so they brought out themselves and Filipino TV to do a shoot for an entire weekend. we split up the weekend shooting a segment for social media on the first day and for Filipino TV on the 2nd day, which has not aired as of yet. Calvin fishing the annual crappy tournament in Tweed on Lake Stoco. 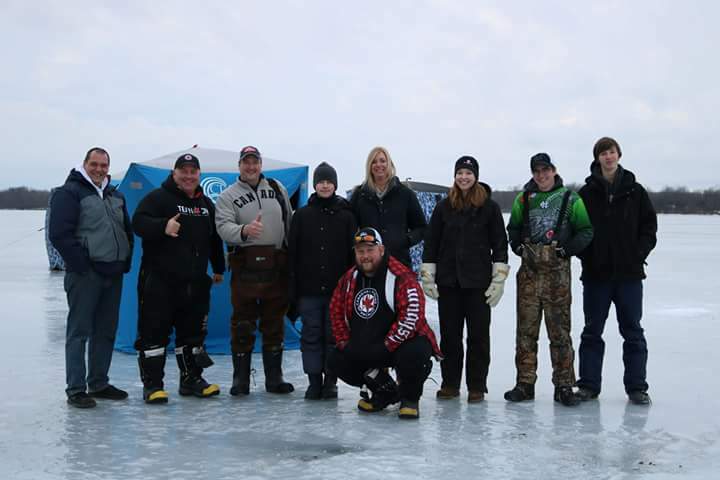 Above pic is Our first group of the weekend on Moira Lake, Thanks to Calvin Pyle for getting this spot organized for us. 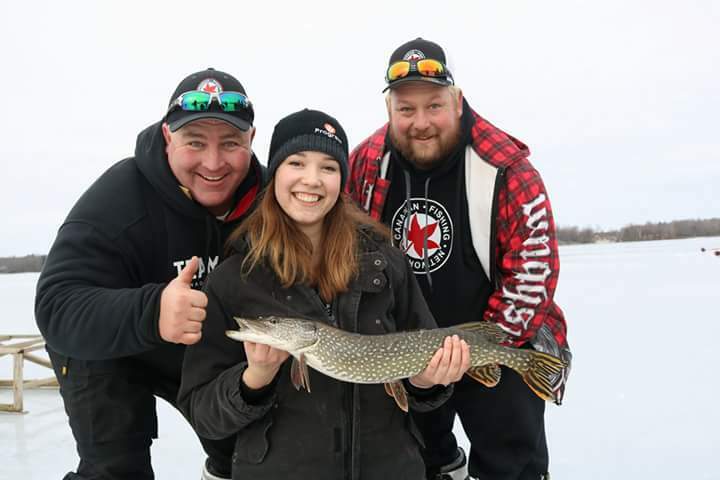 Finally and I say finally even though our season is not over YET (although I believe it will be shortly) I had an amazing opportunity this past weekend to for the 2nd time now to help host a fishing club from the Holy Cross high school in Kingston Ontario. Mr Tim Hunter is the clubs teacher and he does an incredible job making sure the youngsters are completely prepared for each outing, Mr Hunter has done an incredible job helping to teach this talented group of anglers, proper handling of fish, respect on and off the water, each student shows an incredible knowledge of tackle, knots, and technique of many different presentations. In other words I am super impressed (LOL). Italo with 2 of the boys from Holy Cross secondary school. 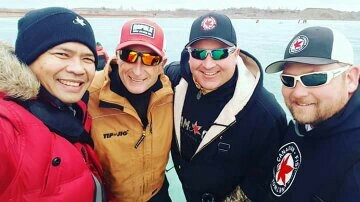 Anyway this group was invited to come and fish at what has become to be known as Scottie Martins honey hole near Brampton Ontario. 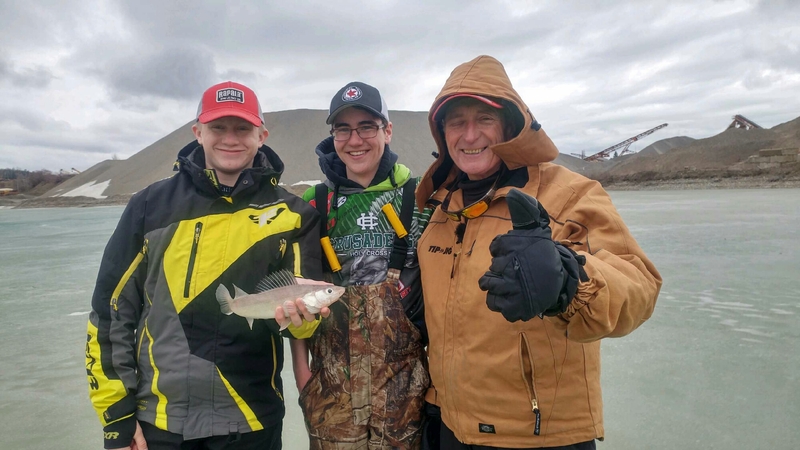 I have had this amazing group of dedicated youth anglers out on the water before, but this time Scottie lined up an amazing treat for the youngsters. 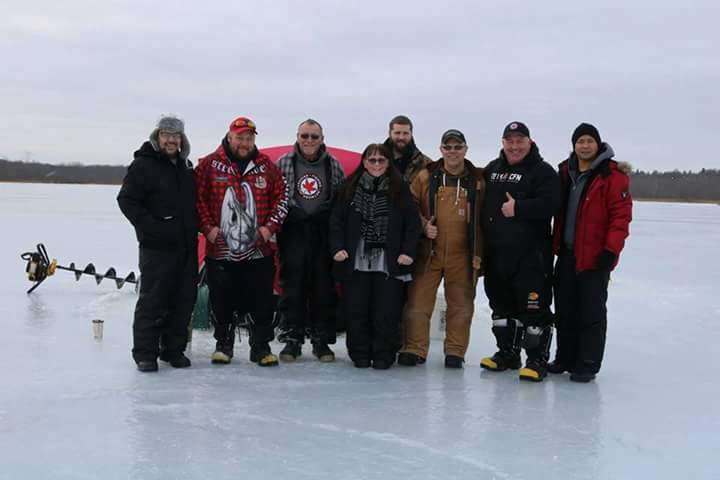 Mr #Italo Labignan himself, one of Canada’s most recognizable faces of the fishing industry was also invited to come and say hello to the students, share some stories, and even get some pics with the group. 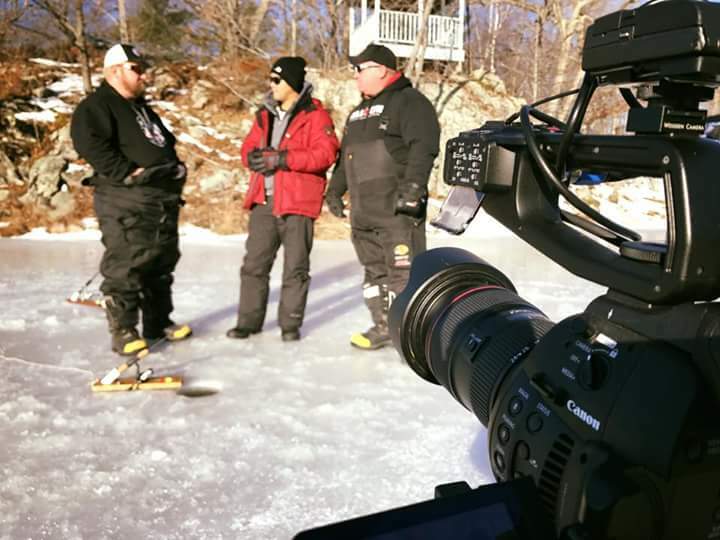 Mr Labignan was there shooting an episode for his television show so we were very lucky to get the time we did with him. That’s it for now but if you like my stories stay tuned as I have another spectacular season in store to blog and help keep you entertained.